Eleaf brought out the iJustX All-In-One as a continuation of the famous iJust series. The Eleaf iJustX All-In-One takes us one level forward with improved battery life, improved wattage, improved tank capacity and a lot of minute improvements in its overall design. The Eleaf iJust X All-in-one is a little more advanced than a regular starter kit. However, there are no major changes to the last model, the iJust 2. It is a lot bulkier than the pen-shaped iJust 2 as it carries a 3000 mAh battery, along with a 7ml tank. The Eleaf iJustX All-In-One measures 50.7mm*25.7mm*101mm and weighs 203 grams. In this regard, this certainly this is a huge leap forward from its earlier models. If you already own the iJust 2 or the iJust 2 Mini, this can be a worthy upgradation. However, Eleaf missed a golden opportunity to introduce a screen in the iJust series and the iJustX is still a mod without a screen. The Eleaf iJustX All-In-One is shaped like a dual-cylinder, with the drip-tip on top and the coil head at the bottom. One of the cylinders is the battery case while the other acts as an extended tank. The tank is quite easy to fill, as it is designed as a top-fill tank. The e-liquid can be filled through the drip-tip side, while the coil can be moistened from the bottom. Let’s get a bird’s eye view of the Eleaf iJustX All-In-One before a detailed look. A Review of the Contents of the Eleaf iJustX All-In-One? The Eleaf iJustX All-In-One comes in a cardboard box, with average designing. Inside, you will get the iJustX, neatly rested on a cardboard cutting. The next chamber contains a 0.5-ohm coil, a 0.3-ohm coil, spare gaskets, extra O-rings, a USB charger and an instruction booklet, written in English. The battery is preinstalled inside the iJustX mod. The Eleaf iJustX All-In-One is all about simplicity. It is a very versatile product if you don’t want to spend too much time loading and cleaning your vaporizer. It is designed as an entry-level mod and it does its job pretty well. 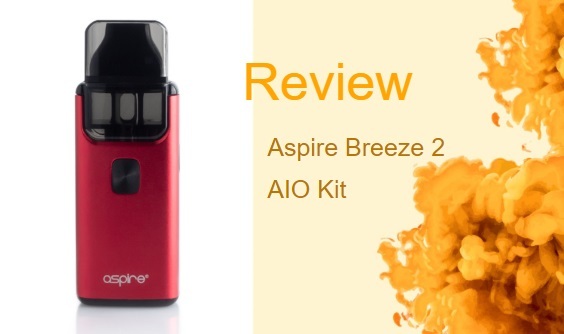 It can be used as a secondary vaporizer if you already own a dual-battery, multi-featured, mod, and can serve well as a backup gear. You will get a massive 7ml tank, but the battery is limited to 3000 mAh. This should be enough to last 75-100 puffs. You do get passthrough charging with the Eleaf iJustX All-In-One but still, you need some backup if you are planning to travel with this. The battery is not only limited but is inconsistent with its performance. The first 40-50 hits are awesome with a nice texture, density, purity, and flavor but it starts to go downhill from there. The density reduces first, followed by flavor quality and purity. This depends on the battery power and the device is not able to maintain a constant flow of current into the coil. However, it is too subtle to make a difference, at least for a novice vaper. The battery life of the device is indicated by a side-lined LED which lets you know the range of your battery life. For 60-100%, you will get a constantly lit backlight, 30-59% will show slow flashes and 10-29% will show moderate flashes, while the last stages will be shown by the slowest frequency flashes. You will get used to understanding the battery level, as you use it more often. The products of Eleaf are very safe and durable and the iJustX is no different. The machine has a Dual Circuit Protection technology, which provides a fail-safe safety net against any overheating or over-discharge of battery power. The mod comes attached to Eleaf’s signature EC Coils, which does emit different types of vapor because of its design. The iJustX comes with two coils, one meant for flavor (0.5 ohm) and the other for density (o.3 ohm). How to Replace the Atomizer Head in the Eleaf iJustX All-In-One? The coil is located at the bottom of the Eleaf iJustX All-In-One. It is locked in place with a screw head design, with stainless steel threading. Once you unscrew the bottom, you will find a coil plug which is air-flow adjustable. You have to screw in the EC coils into this plug and then screw it back up. The Eleaf iJustX All-In-One is a versatile device that can serve the purpose of a beginner mod or a secondary, backup device. It is not really meant to replace your primary vaping needs as it lacks features like Temp Control, Wattage Modes, or even Sub-Ohm Vaping. It is durable and stylish, and we recommend it to anyone looking for a simple and affordable device. You can use it for a whole day, on a single charge, if your vaping is limited to under 100 puffs. If you already own an iJust series mod, you can see a lot of improvement in vapor quality with this model. You can also charge it while vaping, which is a much-missed feature in the earlier models. Overall, this is a very sturdy and stealthy product and a value buy in this price range. We give this mod a rating of 7.5 out of 10. The Eleaf iStick Trim review takes an in-depth look at this simple, stealthy and stylish vaping mod, developed by one of the top-tier brands of the vaping industry.